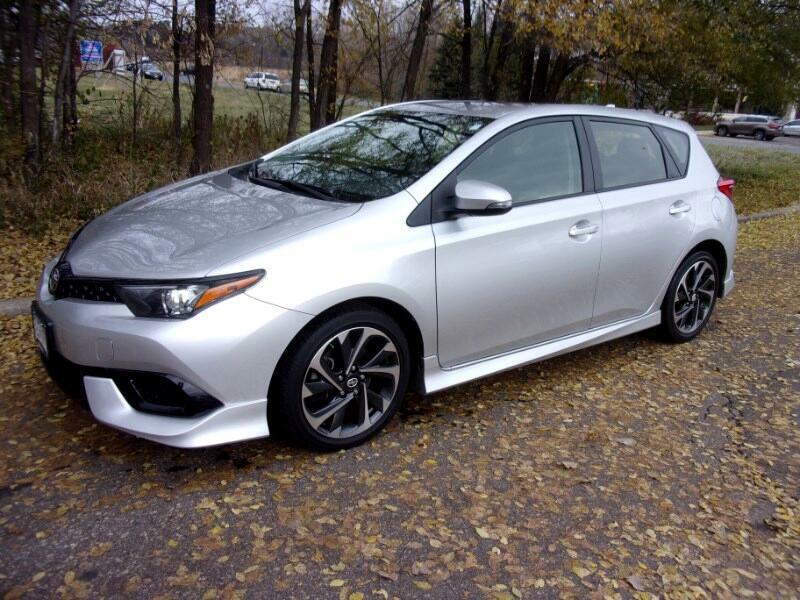 Used 2016 Scion iM 5dr HB CVT (Natl) for Sale in Vadnais Heights MN 55110 Integrity Autosource Inc.
SPORTY AND VERSITILE HATCHBACK, GREAT GAS MILEAGE, FACTORY WARRANTY TO 60K! CARFAX CERTIFIED ACCIDENT FREE ONE OWNER! EQUIPPED WITH POWER WINDOWS, LOCKS AND MIRRORS, BLUETOOTH PHONE CONNECTIVITY WITH STREAMING AUDIO, BACK UP CAMERA AND MORE. MECHANICALLY INSPECTED AND UP TO DATE ON MAINTENANCE. WE TAKE TRADES AND HAVE GREAT FINANCING TOO. IN BUSINESS IN THE SAME LOCATION FOR OVER 23 YEARS.